ABARI in collaboration with Strawbuild UK and Kamala Foundation conducted a comprehensive ten day workshop on Lime at Sunrise Farm in Kathmandu and The Learning Centre in Dhulikhel. The facilitators of the workshop included Bee Rowan [Director,Strawbuild] and Stafford Holmes [Lime expert & Co-author,Building with lime] .The workshop commenced in early November [3-13th Nov 2016] with a healthy participation of 30 people from urban engineers to rural masons.It was a balanced schedule of classroom time, understanding theories and concepts regarding the material itself and hands on time to pick up some techniques of using it. The theory classes were scheduled at Sunrise Farm and Abari Learning Centre.There were case studies and literature from various projects to warm the participants to the material and its possibilities. The hands-on workshop began in Dhulikhel where the slaking,mixing and sampling were observed. ABARI craftsmen and masons familiarized the gathering to the context of Kavre, the locally available materials and tools as well as previously observed techniques using lime. 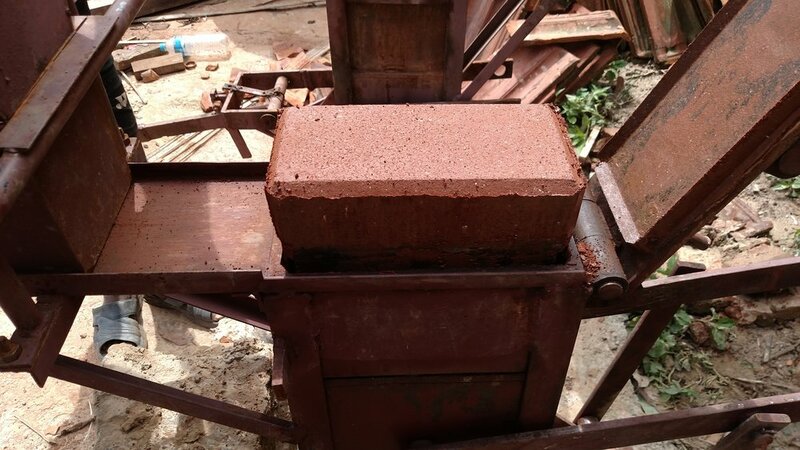 The team also mapped out the original lime constructions and finishes in Nepal, natural deposits of limestone and sales and manufacturers of hydrated lime to be able to understand if it can be used amass. Qazafi Memon [Engineer, of HANDS NGO in Pakistan] was instrumental in coming over to our worksite in advance to help us facilitate the workshop smoothly. Waseem Solangi [Program Manager at HANDS Pakistan] who leads HANDS International humanitarian aid work in Nepal was also involved from the inception of this workshop and has aided the flow of the same.Both Mr.Qazafi and Mr.Waseem have collaborated with Bee Rowans in Pakistan towards introducing lime as a sustainable material to make flood-ridden parts of the country more safe and durable. In addition to learning about the wondrous lime,the participants also learned about straw stabilization and uses of straw in building.They used a manual straw cutting mechanism to be able to chop the straw to desired lengths for making bales or using in plasters and daubs. 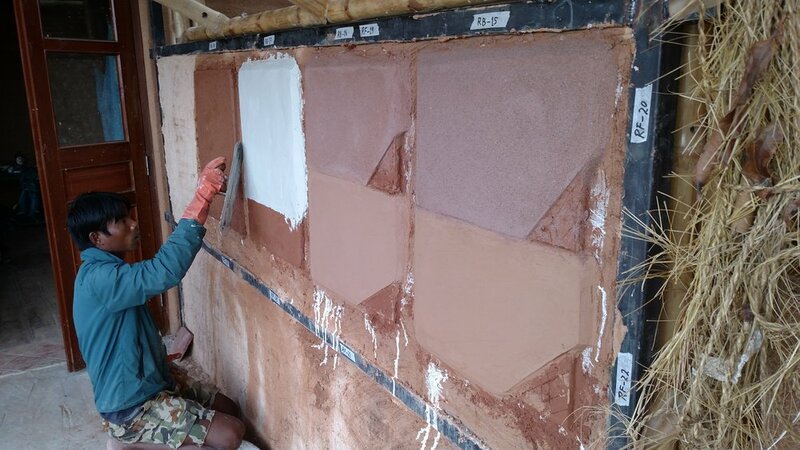 The most involved experiment was the aggregate mix table that the group made on the rammed earth wall.The two axes indicating percentage of sand and straw and the effects of these mixtures as plasters.The samples were observed over days of drying and it was an effective tool to learn how to decide whats best for a particular part of the building. The most prized takeaway from this workshop has to be the acquaintance and co-learning experience for most participants along with this beautiful manual on lime [Lime Stabilized construction] compiled by Bee and Stafford! We want to encourage more people to familiarize with lime and straw and earth by initiating more such co-learning experiences.Come join us! They were given a certificate of participation and the Lime manual to keep up their experiments with lime!